With a passion for helping the underdog (and cat), hot off the press are two books by the same award-winning author sharing boundless ways to help your senior best friend live a longer, happier, healthier life! Known as the go-to Pet Safety Expert, Denise Fleck has a fondness for the older, and sometimes forgotten, aging pet that has a much harder time getting adopted at Shelters. The first book in the series, Don’t Judge a Book by its Cover teaches children, and reminds adults to treat everyone as equals. Awarded “Children’s Book of the Year” by the Dog Writers Association of America and “honors” in the London Book Festival, the book embraces pets as part of the family. Through the eyes of a young girl and her first fur-ever friend, readers discover the unfairness of judging and are inspired to make a difference. 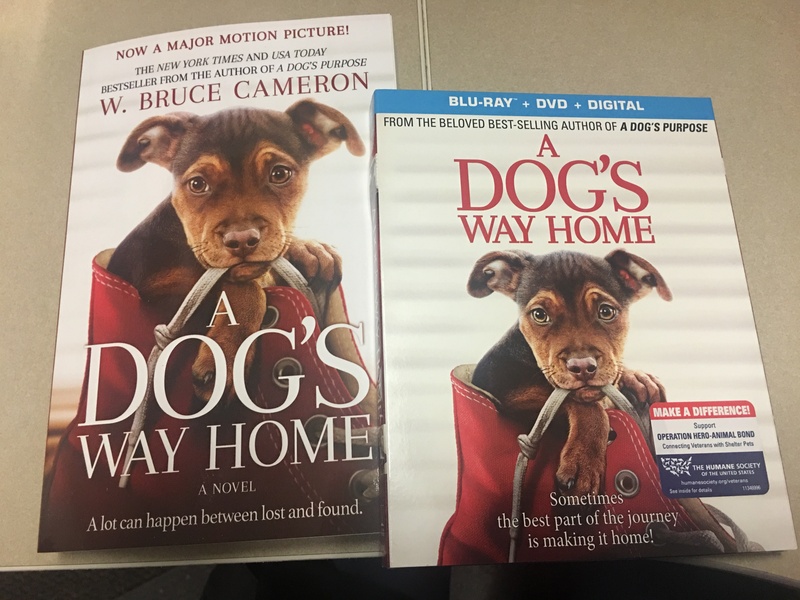 In the just released sequel, Start Off on the Right Paw, an older misjudged breed takes center stage, and the importance of proper dog-to-dog introductions is emphasized so that the dogs ‘start off on the right paw’ and can keep their forever homes! It’s a lesson in taking steps to make sure everyone gets along and expands the anti-bullying message of not judging dogs, people or anything by age, stereotype or outward appearance. For readers who already share Fleck’s passion and embrace having a senior dog or cat in their hearts and homes, The Autumn & Winter of Your Pet: Make Those Senior Years Golden is a PURRfect fit! This easy-to-read story takes you on YOUR pet’s journey of maturing and growing older through your best friend’s eyes. As you read, the voice you hear can be that of your brown dog, calico cat, fluffy Bichon, champion Setter or retired service dog – you choose as the seasons of your canine or feline’s life unfold on the pages revealing how you can better enjoy them to the fullest together. Things you can’t change (genes and years gone by) and those that you can (exercise, nutrition, veterinary care) along with methods to improve your pet’s quality of life are shared. Medical conditions are discussed but the heart of the book flows with ways you and your fur kid can create memories that will last beyond their lifetime. End-of-life decisions and loving again make this a poignant but necessary read for all who truly love their animal companions. Author Denise Fleck was raised by a Great Dane and has spent her life loving animals. A long-time rescuer, she has instructed more than 10,000 pet lovers in animal life-saving skills and millions more through national television segments. She instills her passion in the next generation of animal care givers through an after-school program sponsored by the Burbank Animal Shelter and Unified School District. Denise’s own black Labrador Retriever was the inspiration for Don’t Judge a Book by its Cover, and his female pal joins the cast in Start Off on the Right Paw. Both titles, as well as Fleck’s other books, are available on Amazon. 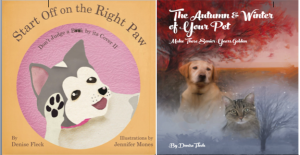 The children’s books contain PAWdominant Themes for parents, teachers and rescue workers to discuss with the little (or not so little) humans in their lives. Learn more at www.SunnyDogInk.com.